An important part of the pre-production process for Shakespeare On the Green is the design phase. Even before we go through the audition process and start to find the cast for this summer, both directors (myself and Anthony Clark-Kaczmarek) begin conversations with our design team to outline the concepts for each show and how we wanted to present these stories to our audience. Traditionally at Nebraska Shakespeare, one show is presented in the concept for which it was originally written, and one is conceptualized. Twelfth Night, which opens on June 20th, free to the public, is our 'concept play' this year and it takes on elements of a Dr. Seuss world; bright primary colors, a future/fantasy based technology, and bold architectural elements. Titus Andronicus, opening on June 27th, free to the public, is placed in a fictional 1st Century AD Rome, a classical approach to a Roman government and traditional family structure. The archetypal Roman Centurion and 'period' takes on the enemy Goths are crucial images for this production. 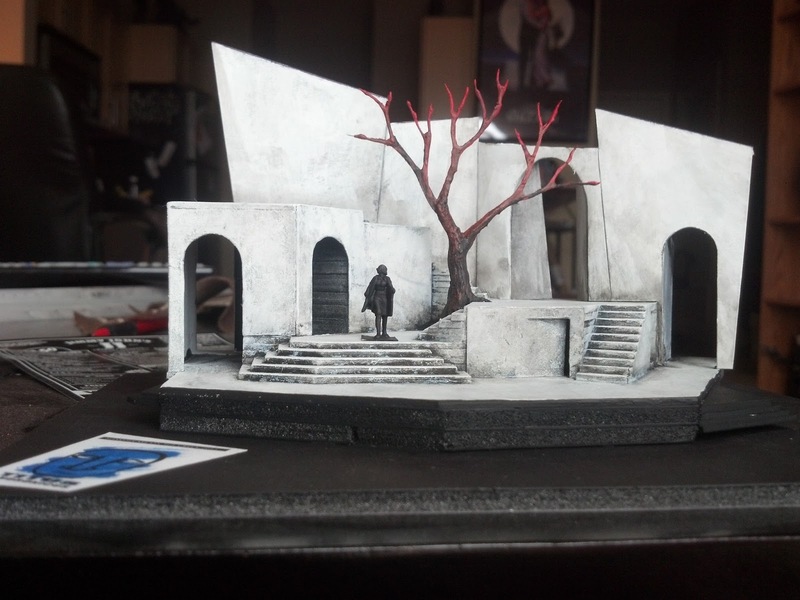 One of the challenges in producing both plays concurrently is the set design. Every year, we present two strikingly different shows, but we have to do it on the same set. The first step is to agree on a GROUNDPLAN; this is the footprint of the stage, an overhead view. It articulates the playing spaces, the levels, the entrances and exits and includes any tricks or specific 'asks' for the play. For example, in Twelfth Night, a prison of sorts is needed to capture a character near the end of the play. In Titus, a pit or trap is necessary for a scene in which characters disappear mid-action. The set designer has to absorb the essence of each play's concept, include any special requests from the directors, and present a groundplan that is feasible within an established budget. This year's set designer, Robbie Jones, a professional scenographer and professor at the University of Nebraska at Omaha, created a groundplan that has multiple levels (fulfilling status and hierarchy needs in both plays) and has provided a number of possibilities for elements of the set to work for both productions. Conveniently, the aforementioned prison doubles as the trap, thus designing two 'birds' with the stroke of one pencil (or computer command, as it may be). After the groundplan, a RENDERING is created for each show. The rendering provides a front view of the stage and develops specific scenic elements or 'set-dressings' that are exclusive to each show. This is where, for our summer season, the set transforms from one week to the next. The rendering for Twelfth Night includes numerous Seuss-like 'peek-a-boo' windows in addition to bright, movable topiaries which will help to define the different houses of each character in the play. The rendering for Titus Andronicus shows how those windows, in week two of our run, will essentially be covered, and in lieu of colorful plant-life, a stripped tree dominates the set. Once the groundplan and rendering have been 'signed off' on by all parties (including a technical director who has to build it) a MODEL is created for the directors. This is a miniature version of the set and assists in visualizing the playing space so the directors and eventually the actors can see how the play will come to life. The design process is a very collaborative action; discussions flow back and forth between the set designer, the directors, the technical director, and the director of production. The idea for the set this year has had different amalgamations in the process, but we believe we have reached a balance in terms of concept, staging needs, budget requirements, and feasible execution. What you see here is the best look at what will be built in Elmwood Park for our shows. Next week, we'll take a look at some costumes! We hope you'll join us On The Green. Click here for dates and details. Daily Dose of Bard: How well do you know your opening lines? The famous lines above, as you probably know, open the comedy Twelfth Night,but can you correctly name other plays based on their opening lines alone. That's your challenge in today's daily dose of trivia. Good luck. 9. In delivering my son from me, I bury a second husband. 11. I wonder how the king escaped our hands? That wore the imperial diadem of Rome. Send us your funny, your tragic, your lovely sonnets yearning to be the WINNER!! The 16th Annual Anne Dittrick Sonnet Contest has officially begun!! We are accepting Shakespeare style sonnets from now until May 13th. We are thrilled to announce our judging panel this year. This team of judges will pour over hundreds of sonnets submissions to find a winner and honourable mentions in both High School and Adult categories. They will be looking for sonnet structure, creative/artistic vision, and use of language. First on our judging panel is professional poet, Program Director for Louder Than A Bomb: Omaha, and poetry slam master, Matt Mason. Next, we are excited to have a Fine Arts professor at University of South Dakota and the Artistic Director of the South Dakota Shakespeare Festival, Chaya Bland-Gordon. 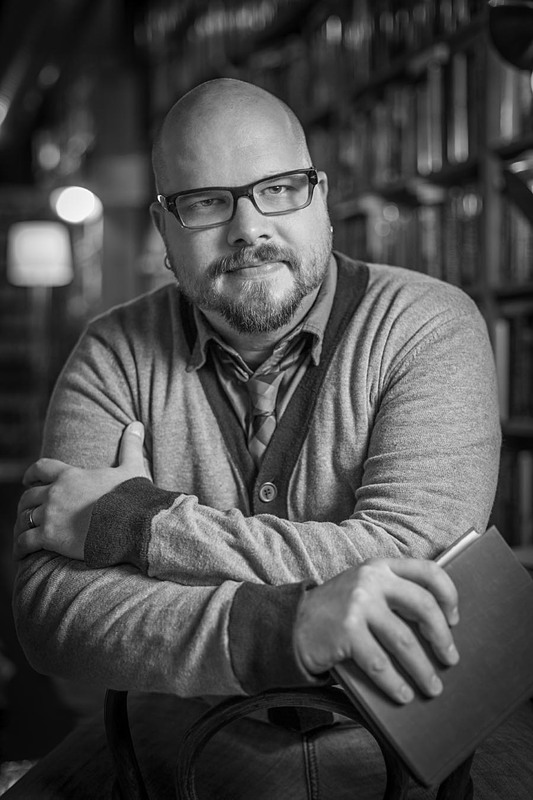 And lastly, we have our own Nebraska Shakespeare Artistic Director, Vincent Carlson-Brown rounding out our 2013 judging panel. You can submit on our website, via email or snail mail. Write about LOVE! Write about WAR! Write about SUSHI! Just WRITE and SUBMIT! Don't eat my nuggets, or I'll be tazing! Oh, Chick-Fil-A, you deserve lots of praise! I'm so glad that he didn't choose flounder! Talk Like Shakespeare! Impressionist, Jim Meskimen, performs Shakespeare in celebrity voices. Talk Like Shakespeare! NPR on talking and thinking like Shakespeare. Giving 50x52: Bill Conley's year-long journey of giving. One Omaha man took a desire to interact with the world around him and created a fascinating and inspiring journey of it. What: This blog will document a weekly gift of $50 over a one year period, beginning in September 2012. Giving50x52 is about stories…stories of interesting people and worthwhile organizations. To tell stories about interesting people, important causes and worthwhile organizations. To push myself to meet people I might not normally talk to and to learn about organizations I might not know much about. To heighten my consciousness and awareness of opportunities to connect with others, to help others and of the many great things being done in this community. To motivate myself on giving, particularly “hands-on” giving. To celebrate being 50 years old. Other: This should be a fun journey and will certainly take me out of my comfort zone and provide some great opportunities to meet others. Obviously a gift of $50/week won’t change the world. The randomness of the gift might make someone’s day, lift their spirits…and likely mine at the same time. These weekly gifts are not being made exclusively to people who need the money. There is no way for me to know their situation. I might just pick some people, or organizations, in the community that are doing great things as a “thank you”. What they do with the $50 is entirely their decision. I hope they can use it themselves for something they need or want. Perhaps they want to pay it forward to someone else or to a cause they care about. The concept of “hands-on” giving is a key aspect of this journey, meaning I want to meet the person or learn more about the organization. This week (week 35 on his path) he made the decision to commemorate "Talk Like Shakespeare Day" and Shakespeare's birthday by choosing Nebraska Shakespeare as his organization of the week. Nebraska Shakespeare is very proud to be a part of a journey that has included a wealth of great stories. CLICK TO BE INSULTED MORE! Shakesgear! : Get your WWSS (What Would Shakespeare Say) T-Shirt. Celebrate Talk Like Shakespeare Day with this t-shirt that does the talking for you. Simply scan the QR code and put your smartphone in front of Will's mouth to see him come to life. Order yours today in the Shakesgear Store! To celebrate Shakespeare's birthday, Governor Heineman has proclaimed today as Talk Like Shakespeare Day across the state of Nebraska. Join us in celebrating throughout the day! How can you celebrate Talk Like Shakespeare day? Well, for starters, you can talk like Shakespeare. It's fun, it makes everything sound fancier, and a it's a great way to impress your friends or woo that special someone. Nebraska Shakespeare Contests. Check out our Tweet Like Shakespeare and Bard About Town Photo Contests for a chance to win prizes On The Green. Jones Bros. Cupcakes is offering a special Shakespearean cupcake of the day! Check our Facebook, then just name it and it's free while they last. Don't forget to Like our page while you're there! Omaha Visitor Center at 1001 Farnam. Ask in Shakespearean and get a "Omaha" wristband while they last. The Bookworm is giving a 10% discount on purchases and a 20% discount by wearing the Bard About Town mask! Market Basket at Countryside Village will have miniature scones for those speaking a bit 'o Bard. The Village Grinder will have a treat for those speaking Shakespearean. Speak a bit of Bard at Dundee Dell to get a free drink (any kind) and happy hour prices on Fish and Chips no matter the time. eCremery is offering a free topping if a bit of the Bard is used. Dundee Cork & Bottle will offer $1 off Boru Vodka drink. Jane's Health Market in Benson will give you a treat if thou speak'st like the Bard. Both locations of The Mill in Lincoln are offering a dollar off your bard brew purchase. Karaoke Theatre at House of Loom (1012 S. 10th Street) is the perfect end of the day with "Sing Like Shakespeare Karaoke!" Check our playlist or choose from your own beginning at 9:30 PM. Daily Dose: Erin Grace of the Omaha World Herald talks "Talk Like"
Erin Grace of the Omaha World Herald writes about the origin of Talk Like Shakespeare day and throws in some bard-speak of her own. Then thou might get free scones or more stuff. Talk like Shakespeare tomorrow and get goodies. Talk like Shakespeare — make him your own. We love the Shakespearean, Erin! Every Friday you'll be hearing from me, chatting about the artistic endeavors of Nebraska Shakespeare; providing insight, behind-the-scenes looks, and perhaps even a funny story or two. I'd like to lead off with a preview of our summer, Shakespeare On The Green, free-admission in Elmwood Park. For the past 26 years we've presented two of Shakespeare's plays free to the public in the natural amphitheatre on the campus of UNOmaha. (2008 being an exception, offering Macbeth exclusively). This June we'll kick off with a quasi-musical Twelfth Night as our 'conceptualized' production, directed by Anthony Clark-Kaczmarek. Twelfth Night is equal parts love triangle, love song, and dance party. It is one of Shakespeare's most accessible, unthreatening and real comedies. It's characters are eloquent and engaging. It's music and language is romantic and magical. *Warning* Due to the ridiculous content and musical nature of the subject matter in Twelfth Night, audience participation is advised. The following week, we'll premiere Titus Andronicus, Shakespeare's earliest, bloodiest tragedy as a first for Nebraska Shakespeare. I'll be directing the play with a traditional approach (in the period for which it was originally written) as a fictionalized 1st Century AD Rome. What can be more profitable than watching on the stage a reflection of human life; to be made wise from their example, those who have trod the path of error and danger before us? How do we choose to connect with each other in light of our most horrible depravity? How do we re-establish our humanity, and recover from the grief and loss having been through our darkest hours? Shakespeare asks the questions that can help us discover a truth about ourselves. *Warning* Due to the mature content and graphic nature of the subject matter in Titus Andronicus, audience discretion is advised. We look forward to seeing you On The Green this June and July, and before then- remember 'Talk Like Shakespeare Day' this Tuesday, April 23rd. Day long Bard's Bargains and a culminating event at The Loom- Karaoke Theatre! Shakespeare On The Page: Living with Shakespeare: Essays by Writers, Actors, and Directors. This compilation of essays includes essays from 38 contributors (including Jane Smiley, Maxine Hong Kingston, Ralph Fiennes, James Franco, James Earl Jones, and Ben Kingsley), and aims to break down the often intimidating distance between Shakespeare experts and the general reader. Essays run the gamut between a questioning of Shakespeare's relation to the world around him, as seen in David Farr's examination of Shakespeare's writings on the sea, to personal relationships and anecdotes about how the bard has touched the lives of the contributors, as seen in James Franco's thrice removed Shakespeare inspirations. Please join us on the eve of Shakespeare's birthday for a free online interactive workshop presented by WNET New York Public Media and hosted by the Amazing Resources for Educators community at edweb.net, sponsored by Big Deal Media. The workshop will highlight the recent PBS series Shakespeare Uncovered and accompanying free online educational resources. During the online workshop, Shakespeare Uncovered Executive Producer Stephen Segaller will provide an overview of the series and WNET Outreach Producer Janice Fuld will showcase the free educational resources developed to bring the series - and Shakespeare - to life in the classroom. The session will include viewing and discussion of video from the series, an overview of the robust companion website, www.pbs.org/wnet/shakespeare-uncovered, and a discussion of strategies for exploring the series and related content with high school students. To register, go to: www.instantpresenter.com/PIID=EB58DE828548. Time to check your Shakespeare facts for the next pub quiz, round of trivial pursuit, or just to impress your friends. 1. List the dates of William Shakespeare’s birth and death. 2. In what town and country was Shakespeare born? 3. Name the monarchs who reigned in Shakespeare’s country during his lifetime. 4. Name Shakespeare’s wife. (“Mrs. Shakespeare” is not acceptable). 5. How many children did the Shakespeares have? 6. With what theater was Shakespeare most intimately connected? 7. What was the name of Shakespeare’s acting company? 8. Some scholars believe that Shakespeare didn’t write Shakespeare. Name three people who, some claim, penned the plays that we attribute to the Stratford man. Good frend for Jesus sake forbeare, To digg the dust encloased heare! Blest be ye man yt spares thes stones, And curst be he yt moves my bones. 10. One of Shakespeare’s contemporaries rightly foresaw the magnitude of the Bard’s achievement when he wrote of Shakespeare: “He was not of an age, but for all time!” Name the writer of that sentence. - Whereas, in honour of the 449th anniversary of the birth of one William Shakespeare, and the 27th Season of Nebraska Shakespeare, known for its professional, free outdoor productions of Shakespeare’s plays. - Whereas, Shakespeare’s use of Early Modern English may not be familiar to us, it is not unknown. His eloquence and mastery of language should be remembered and enjoyed today. - Whereas, we encourage one and all to engage their families, schools, and diverse community partners in hearing and understanding Shakespeare’s work. - Therefore Be It Resolved that I, Governor Dave Heineman, do hereby proclaim Monday the 23rd of April to be ‘Talk Like Shakespeare Day’ across the great state of Nebraska. - And Be It Further Resolved to Read a Play, Enact a Scene, Quote a Line. But most importantly - Speak’st thou with love on thy lips and full life in thy heart! Check out our Talk Like Page for activities, events, contests, and tips. Welcome to Nebraska Shakespeare's new blog. Here is where you can keep up to date with events, promotions, and announcements for Nebraska Shakespeare, as well as fun Shakespeare trivia, news, and articles. We've also moved some of the announcements from our website into the blog's archives. Let us know what you wanna see more of in our blog by taking the survey on the right.